As a listener, Anthony Branker is no stranger to sound of the heart. 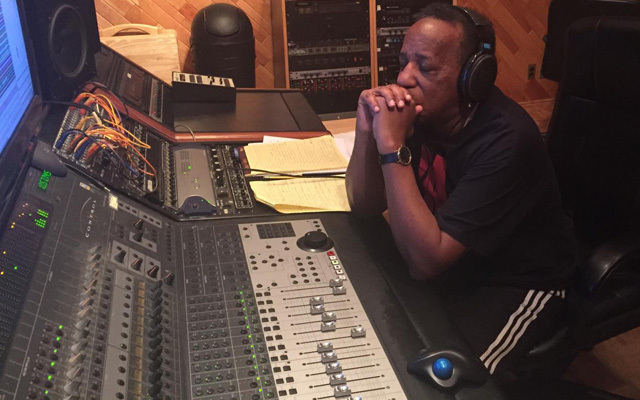 As a composer his trained inner ear is always tuned into the rhythms of the heart. It is not that intellect and logic do not play a part in what he writes; it’s just that his guiding light from which all music flows is the Almighty and God speaks to all men in the energy of the heart. For Branker his ear is tuned to interpret what’s written on the blank slate; the – tabula rasa – where the spirit of all music is first composed. This album contains – a nine-movement score – with an emphasis on elegance and introspection. Beauty Within is an album where a far more impassioned Branker can be heard. What doesn’t separate the performances of the movements on this disc featuring saxophonist Ralph Bowen, guitarist Pete McCann, pianist Fabian Almazan, bassist Linda Oh and drummer Rudy Royston is the utmost commitment to the expressive needs of the music. These are sterling accounts in every way. Bowen’s and McCann’s penetrating timbre and keen attention to nuance ensure that every piece emerges with vibrant purpose. This is also made possible by the highly experimental and deeply expressive counterpoint that saxophonist and guitarist share with Almazan’s piano parts, a three way conversation that is poetic and dashing in every harmonic aspect. The tricky balance between instruments especially when Linda Oh’s bass dips into the lowest range and Royston’s drums whisper on ‘Many Roads Beneath The Sky, for instance, is never an issue – a manifestation both of the musicians’ sensitivity to each other with a view to not swallowing each other. In Fabian Almazan’s hands, the piano part in each piece beautifully fulfils its role as support system and eloquent colleague, depending on the music’s specific demands. There are moments in these works when the pianist must negotiate torrents of notes without losing clarity of texture, a feat over which Almazan consistently triumphs. Mind you, Pete McCann and his guitar are not far behind. 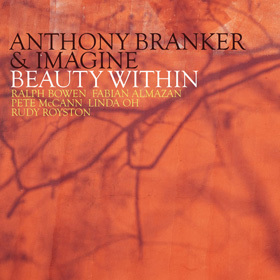 But it is the distinctive voice of Anthony Branker that keeps the listener enveloped in the performances. The musicians don’t disappear into the music either. Instead, they use their estimable artistic gifts to summon what was on Branker’s mind at this point in his career. Track List: Joy; Beauty Within; Loving Day (June 12); Prelude To Wisdom (Fabian’s Improvisation); (We Are) What We Are Not Yet; Many Roads Beneath The Sky; Grace; People Everywhere; (God’s) Wisdom. Personnel: Ralph Bowen: tenor and soprano saxophones; Pete McCann: guitar; Fabian Almazan: piano; Linda Oh: bass; Rudy Royston: drums; Anthony Branker: composer and musical director.